The WellScore 360 Individual Profile empowers health care providers with a 360-degree profile of each individual’s health status. 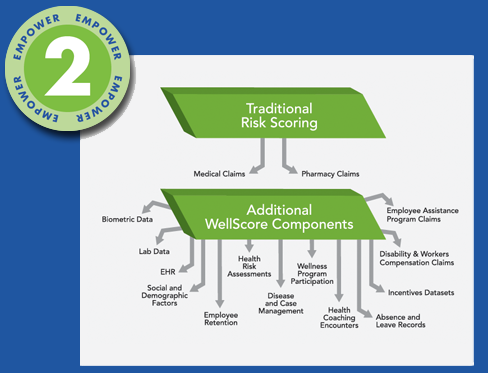 Unlike electronic health records, which give the providers information that they may already have, WellScore provides clinicians with vital health, behavioral and social information that they don’t get in today’s EHR environment. WellScore provides clinicians with vital information that can identify latent, undiagnosed disease. This 360-degree profile is often the catalyst that empowers physicians to maximize the clinical value of each encounter, which results in better health outcomes and lower costs. 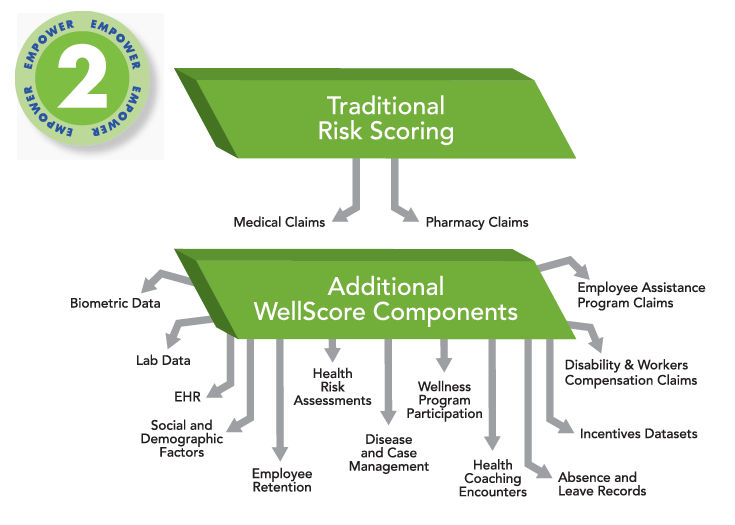 WellScore identifies individuals with the greatest need for care, which may include individuals who are not connected with any primary care. By reaching out to individuals with the greatest need for intervention, the medical homes and population health management initiatives become more valuable.